In 2012, Nancy Duarte and Patti Sanchez set out to write a book to help business leaders envision the future and make their big, audacious visions a reality. In their 2016 book Illuminate: Ignite Change through Speeches, Stories, Ceremonies and Symbols, they lay out a five-part taxonomy for leadership movements. Based on four years of in-depth research, Illuminate is rich in case studies about how great leaders like Apple's Steve Jobs, Starbucks' Howard Schultz and Dr. Martin Luther King Jr. used speeches, stories, ceremonies and symbols to mobilize the masses. 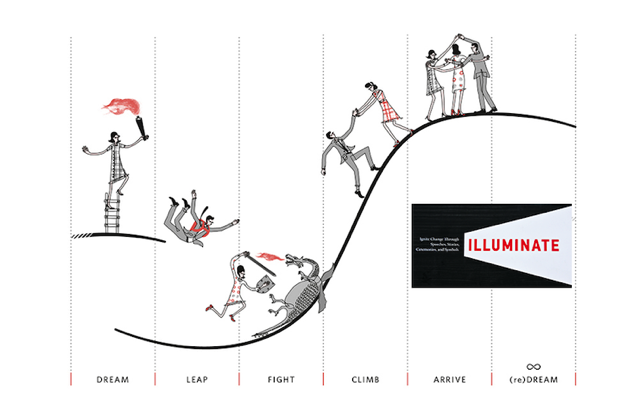 Last month, the Sunnyvale-based firm announced the launch of a new strategy practice to help leaders ignite powerful, persuasive movements built on the strategic framework and insights from Illuminate. For the past 30 years, Duarte has played a role in many movements that matter, including its work with Silicon Valley's leading brands such as Cisco and Salesforce, former Vice President Al Gore's "An Inconvenient Truth," and the transportation revolution led by Hyperloop One. Duarte helped Hyperloop One crystallize and communicate its vision for high-speed, on-demand transportation during its first public technology demonstration in the Nevada desert in May 2016. NBC Nightly News was one of the many media outlets to cover the first moment of that movement here. Duarte's new team of senior strategists are veterans of moving audiences through systematic use of empathy, storytelling and impactful moments. Practice leader Patti Sanchez has led transformative communications initiatives for brands including Cisco, Hyperloop One, Hewlett-Packard and VMware for more than 25 years. - Becky Waller Bausman, SVP of Strategy at Duarte, whose background is rooted in positioning and product strategy. - Dave DeFranco, who’s led sales enablement and change initiatives for many of the world’s largest B2B tech companies. - Brie Osgood, who has deep experience with executive communications at Moody’s, Johnson & Johnson, HP and Hewlett Packard Enterprise. 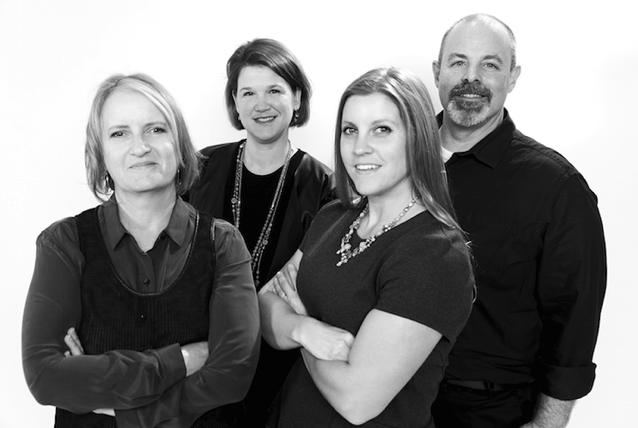 The senior team introduces the new Duarte strategy practice in a video here. "Great leaders create a feeling of hope that inspires people to contribute extra energy to a transformation until they arrive at the goal. The vision – or dream – of the end state must be so compelling that it creates a sense of longing to pull employees, partners, and customers toward the future," says Sanchez. "To sustain people's interest and commitment over the long haul, leaders need to deliver an ongoing stream of meaningful and timely communications that are articulated with clarity, certainty, passion and empathy." "Change is hard for a lot of people, which is why a lot of movements fail and a lot of corporate transformations fall flat," says Bausman. "The collective wisdom we bring as a team helps leaders solve how to best communicate in one moment or over several moments in time to make a movement successful." Chris Knight has worked as a brand-marketing consultant for startups and global corporations in Silicon Valley for nearly 20 years. He consults for Duarte Inc.